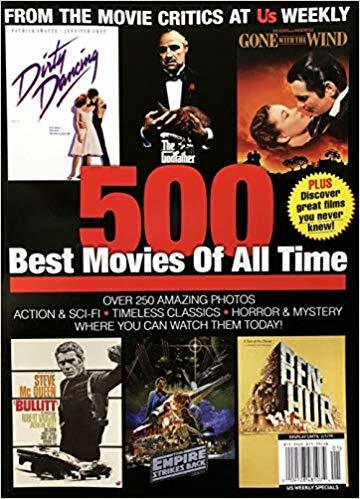 500 Best Movies of All Time? A while back, I fell to the temptation of the grocery store magazine stand and bought 500 Best Movies of All Time, a money-grabber put out by Us Weekly. I thought it would be a ranking of 500 movies, and I would be able to list the ones that I have seen. Instead, they broke it down by category and added a bunch that almost made the list. That means that the movies are in no particular order. With that being said, here are the ones that I have seen with a short description of each. Guardians of the Galaxy – A talking tree and a talking raccoon. Wow, that is an even 100 of what Us Weekly thinks are the 500 best movies of all time. I need to get to the theater more often. Oh, here are some of the alternates I have seen. So, that is 121 of the also-ran’s that I have seen. Wait, do the also-ran’s also count as part of the 500? Instead of counting, let us just say that I have seen 221 of the movies listed in a magazine that was a complete waste of money. Tonight, we belated celebrated my youngest nephew’s 15th birthday. It was actually on June 6, which most of the world knows as D-Day. Our family also knows it as B-Day, Bronson’s Day. To honor his day of birth in the blogging world, here is a list of events from the year he was born. – Titanic made a triumphant return from the depths and dominated the film industry. – Val Kilmer and Elisabeth Shue starred in The Saint. – James Stewart passed away. – Robin Williams won the Academy Award for Best Supporting Actor for his role in Good Will Hunting. – the Green Bay Packers defeated the New England Patriots in Super Bowl XXXI. – Tennessee beat Old Dominion to win the NCAA Women’s Basketball National Championship. – Mike Tyson bit a piece off of the ear of Evander Holyfield. – Tiger Woods won the Masters for his first win in a major. – The Crocodile Hunter debuted on Animal Planet. – South Park first aired on Comedy Central. – Jacques Cousteau, famous for marine documentaries, passed away. – The Simpsons passed The Flintstones as the longest running prime-time animated series. – Elton John re-recorded Candle in the Wind to honor Princess Diana. – Paul McCartney became Sir Paul McCartney. – Colonel Tom Parker, the manager of Elvis Presley, passed away. – The Bee Gees, the Jackson 5 and others were inducted into the Rock and Roll Hall of Fame. – Mitch Albom’s Tuesdays With Morrie was published. – Harry Potter looked for the Philosopher’s Stone. – James Michener, writer of sweeping epics, passed away. – I Know Why the Caged Bird Sings was removed from the English curriculum in Anne Arundel County, Maryland. – the Pathfinder landed on Mars. – the United States barred federal funding for research on human cloning. – Deep Blue defeated Gary Kasparov in a chess match, the first time a computer defeated a grand master. – the domain name Google was registered. 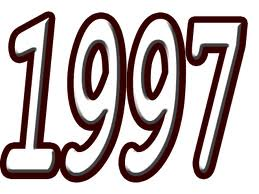 A lot of other stuff happened in 1997. Perhaps, you can list a few in the comments.